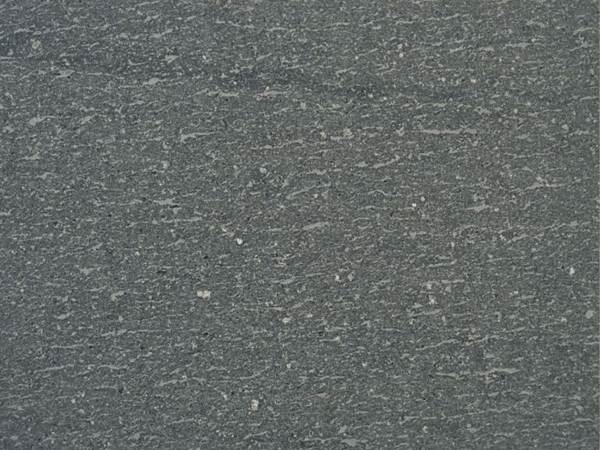 Appearance: Dark grey almost smooth background with a lined structure, sometimes interspersed with plagioclase (up to 3 mm big) and pyroxenes. Properties: Colour variations occur to some extent, even in the same batch. The natural holes are filled with a dark grout. This stone is not frost resistant. It is recommended to seal this stone to extend its longevity. Finishes: Honed, polished, brushed, sandblasted and bus-hammered.